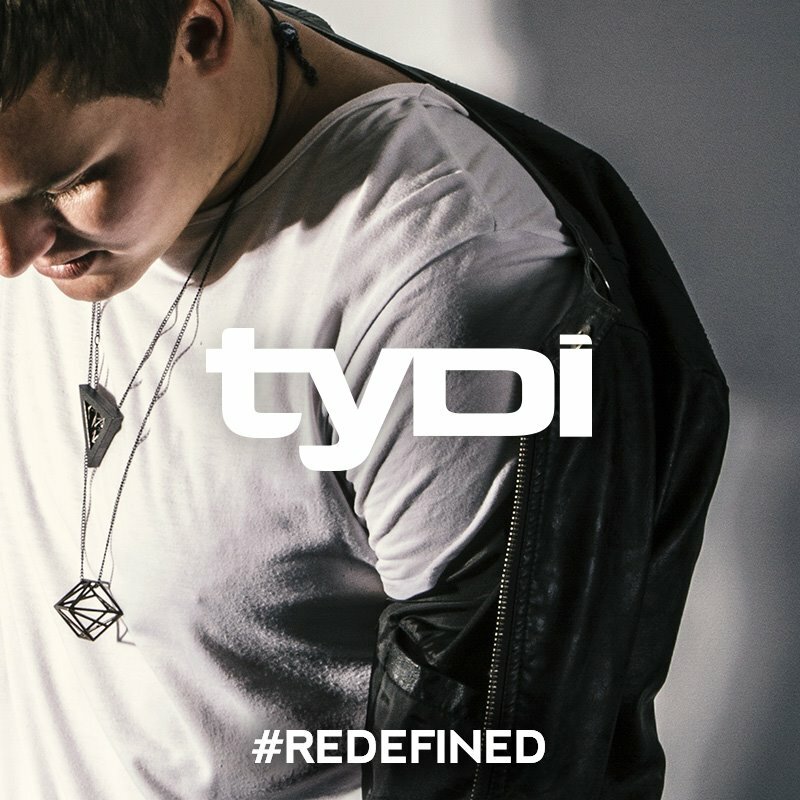 I am a huge tyDi fan. There is something about his music that I love so much. From his Twitter, he seems like a really nice guy and my slight interactions have only been positive. When I heard about his album, Redefined, I had to pre-order it because you knew he gave his blood, sweat, and tears for this album. There has been a number of singles released already and they have beyond achieved any of my expectations. Tyson took to Facebook to discuss the current singles and the upcoming album. I’ve been asked what ‘genre’ people can expect from ReDefined… And to be honest I’m not sure if genres can really apply to my new album… ReDefined has 20 tracks written across a space of three of the craziest years of my life… They all have a different story to tell and stories can’t be defined by genres. The lyrics are partly about fighting a personal ego (something every artist deals with at some point) and also were based on my real relationship at the time. I worked with my friend Sinead on the female side of the story; ‘you think I can’t see where you’ve been outside this castle you keep me in’, that line in particular portrays ‘her’ feeling alone and locked back at home while he’s away touring. There are a lot of insecurities in the story of ‘Box of Lego’ Whenever I think of the word ‘castle’ in this song it makes me think of the high rise tower I used to live in back in Australia. Flying out of that city every week and seeing the building fade away was extremely tough knowing that I’d left someone so important at home (and that I’d be gone for a while). Distance isn’t easy, so I guess ‘Box of Lego’ is a mixed story of a guy who can’t see it working out, and a girl who’s struggling with him being away all the time. It was important for me to be able to create a song that wasn’t bias to one person’s perspective on the situation, so to make it work properly I had to use two vocalists. The duet allows for an argument to happen within the song; exploring both perspectives. All the strings in this song are real (like most of the album! ), no samples. I worked closely with a talented violinist to stack up the strings in a way that would support certain parts of the vocal melody. The final chorus is completely acoustic. This is one of the more recent ones that I produced really close to the album’s release date, right when I moved to LA. I was listening to the first draft of this song after leaving the studio in Santa Monica late at night. Cameron’s voice is hauntingly powerful and suits the concept perfectly. I caught myself in a glare outside the car window as the city passed behind a blur of palm trees. The lyrics couldn’t have connected any more with me. I’d just moved countries, left my only friends, family and a relationship behind me, all to be in a strange city with a brand new beginning. The interesting thing about producing this song was that the chords and melody are uplifting, but the story of the song is particularly dark. I wondered what would happen mixing such an uplifting dance production with a story that on paper would read to be fairly lonely – the result came out sounding ‘hopeful’, maybe even melancholy. But it’s all subjective. In two weeks you’ll be able to hear the whole album. So I want you to know this – although music is my ‘career’, REDEFINED is not a fictional piece of work designed to sell copies. There were no ‘ghost producers’, nobody telling me what’s ‘big’ and what isn’t. No major labels telling me ‘sorry Tyson but this isn’t a radio hit’, no radio teams putting my work on the shelf because someone else is more ‘famous’ or a ‘higher priority’. I did this album on my own record label with no financial support from anyone – No huge team who often tell the artist what they need to be or sound like. No concern of ‘dumbing the song down’ for the sake of pop, or so it ‘drops harder’. Redefined is an honest capturing of my life, the best and the absolute worst of it, the highest highs and the lowest lows. I wrote close to 300 songs over three years with countless different incredible people, all to find the songs that truly describe who I am as an artist and a person – I can proudly say that this album is my best and most honest work to date, and I certainly could not have done it without the talented people who so generously worked with me and believed in me (you know who you are). This also goes to you guys reading this, my fans, you’re the ones who I made this for. Without you there’d be no audience and probably no point in pouring so much of my heart into such a hugely time consuming project.